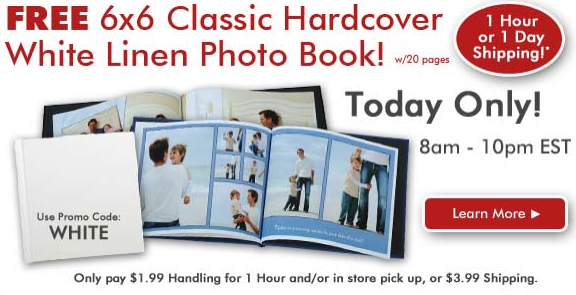 For today only, 6/23, you can get a Free 20 page White 6×6 Classic Hardcover White Linen Photo Book (reg $14.99) fron RitzPix. You will have to just pay shipping which runs $1.99 handling fee for 1 hour pickup or $3.99 for shipping. 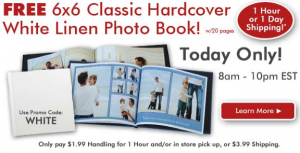 This deal is only good through 10 pm EST tonight.